We have great experience in different sorts of goods, our motto is to perform perfect jobs for our customers. 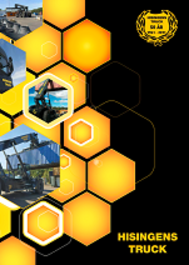 Read more about us and our history in the brochure. 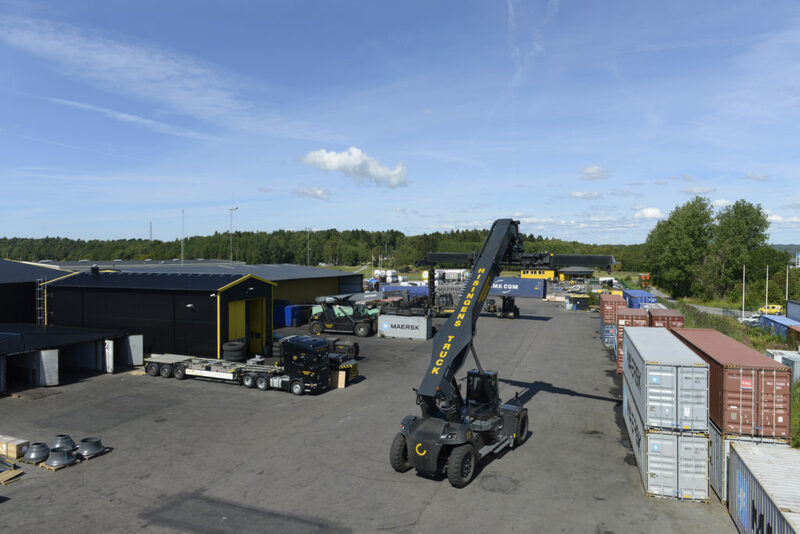 Our warehouses offer great storage facilities for goods of different kinds and sizes. When you require to store containers, empty or loaded, this is also something we can offer you. 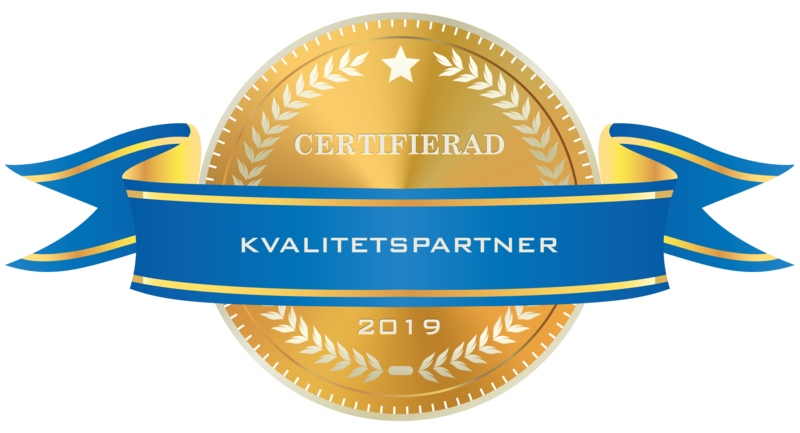 We load all sorts of units with all kinds of goods, such as wood, paper rolls, pulp, sheet metal, pallet goods, machine goods and heavy and bulky packages.The forklifts included in our load management program has a capacity of 2 – 45 tons. 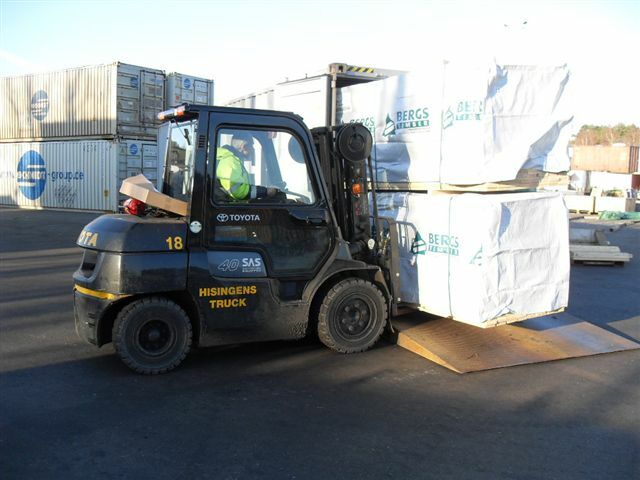 We transport loaded containers from the port of arrival to our terminal where we unload and store goods. 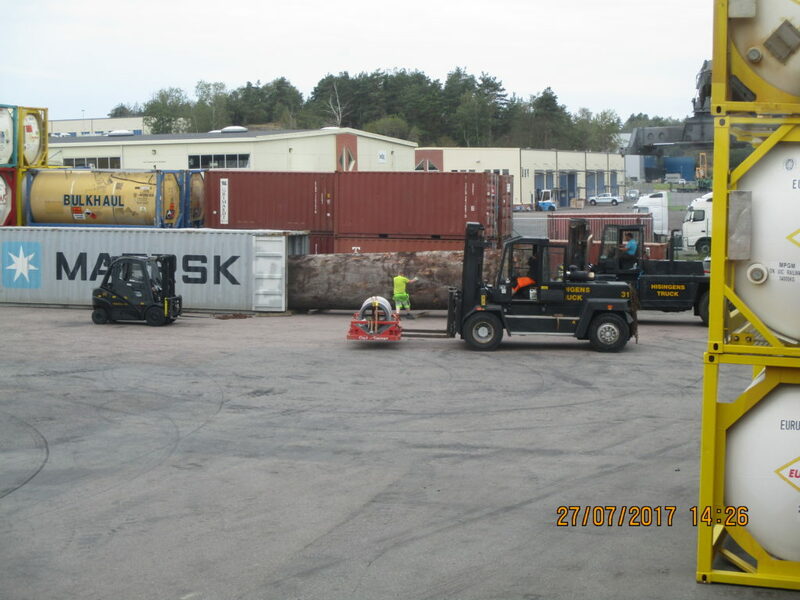 After unloading the containers we clean them and establish a Stripp-report. 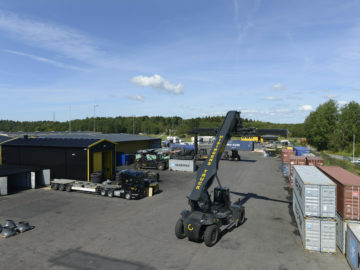 Thereafter, we re-reansport empty containers to your specific depot in Gothenburg.